Vietnamese football-lovers will have a chance to cheer the national U23 team in the 2020 Asian Football Confederation (AFC) U23 Championship qualifiers, as the country was chosen to host some matches. The qualifying round will gather 44 U23 teams, including 24 teams from West Asia and 20 from East Asia, divided into 11 groups. 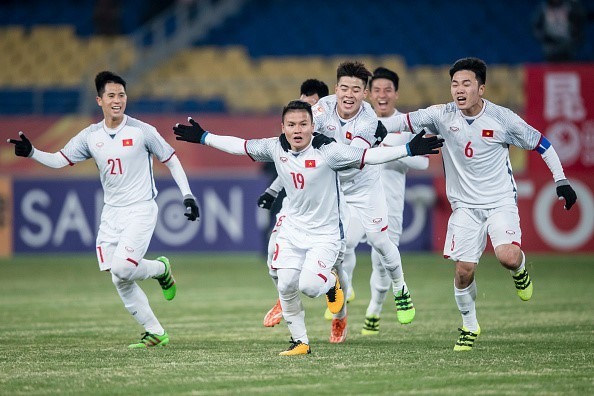 As the first runner-up of the 2018 AFC U23 Championship, Việt Nam ranks first among five seeded teams in the East Asian region, alongside South Korea, Malaysia, Japan and North Korea. The host countries for the qualifying matches are Uzbekistan, Qatar, Saudi Arabia, Iran, Bahrain and Kuwait for groups in West Asia, and Việt Nam, Malaysia, Myanmar, Cambodia and Mongolia for East Asia. The qualifiers will see 15 teams enter the finals, joining hosts Thailand. The qualifiers are scheduled to take place from March 22-26, 2019, with the finals from January 8-26, 2020. The draw for the qualifiers will be held on November 7 at AFC headquarters in Kuala Lumpur, Malaysia.